At a barbecue while everyone’s arriving and the coals are being lit I always like to have a few dips and nibbles on the go to whet peoples’ appetites. I have a failsafe catalogue of dips I’ve made time and again, such as this staple tzatziki recipe, so when entertaining friends last weekend I decided to give something new a go. 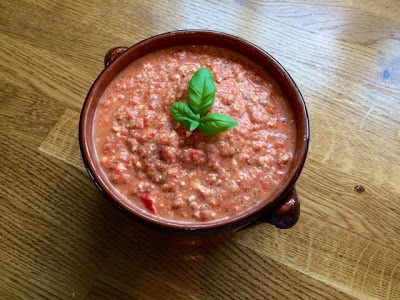 Having seen a few recipes for roasted red pepper dips I was inspired to create this little beauty. 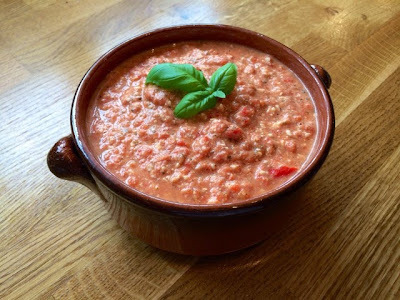 I wanted a bit more depth of flavour than just a simple pepper dip and having had a roasted red pepper and goats cheese soup that I particularly liked, I felt that cheese was the way forward. There’s always an abundance of feta in my fridge and so that was the cheese of choice. I do think a nice goats cheese would work brilliantly in this recipe too though. 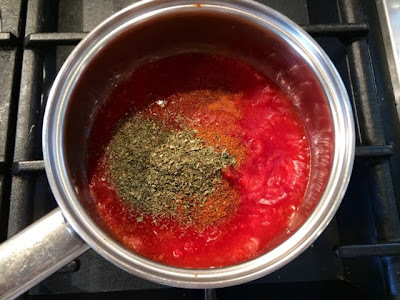 Cooking the tomatoes first with the herbs and spices adds a richness that matches well with the flavour of the preserved peppers. 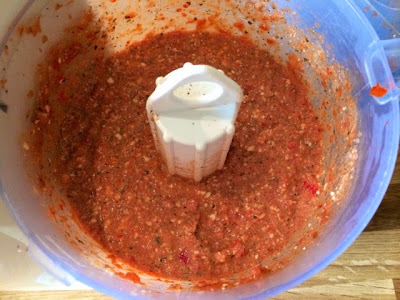 Whole roasted peppers are such a great store cupboard ingredient, I like to keep a jar handy for salads and pasta bakes. 1. In a saucepan gently heat the chopped tomatoes with the paprika and oregano. 2. 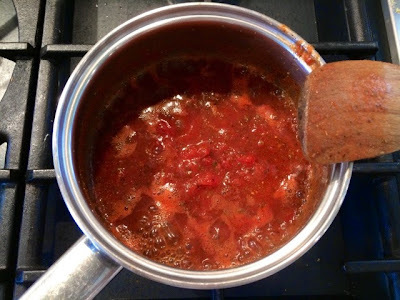 Stir through and bring up the heat until simmering and thickened. Turn off the heat and leave to cool. 3. 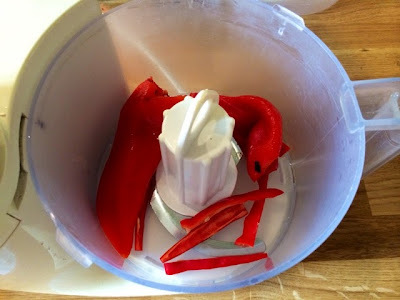 In a food processor blitz together the whole roast peppers and the chilli before adding the tomato mixture. 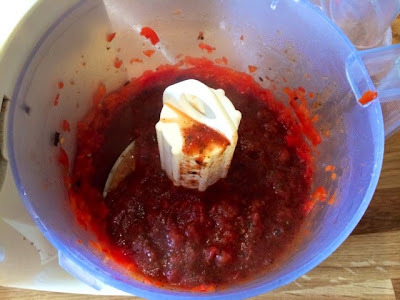 Blend thoroughly. 4. 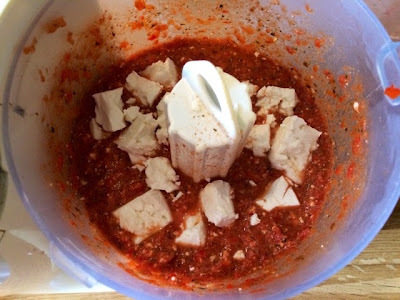 Crumble in the feta and blitz again until the whole thing has become a runny paste. 5. Serve in a dish garnished with herbs alongside pitta bread and crudités for dipping.